On the remote Greek island of Thasos, a German Albatros, a vintage World War 1 fighter plane, has swooped out of the blazing blue sky to attack a modern U.S. Air Force base, nearly destroying its fleet of F-105 Starfire jets. Thirty miles offshore, piloting a Catalina en route to the American scientific research vessel First Attempt, Dirk Pitt hears and responds to the Brady field emergency distress call. He blows the Albatros back into the oblivion from which it came, ripping open a mammoth half-century-old conspiracy in the process. 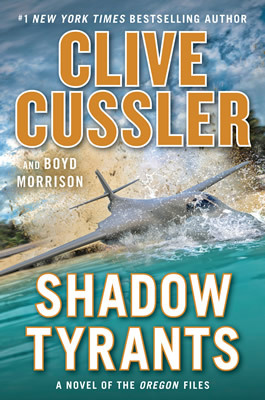 Pitt has come to the Aegean to hunt down the mysterious saboteur preying on First Attemptthe ship's mission is to search for a missing evolutionary link, a rare and possible extinct fishbut connecting the sabotage onboard to the attack on Brady Field, Dirk Pitt knows he's onto something bigger. His adventure begins with Terri, a glamorous, modern Greek goddess in a red bikini, who is the key to a vast drug-smuggling ring about to bring off a lethal billion-dollar deal. As much as she's willing to reveal to Pitt, there's one secret she holds back: the truth about a missing Nazi war criminal now ruling over a corrupt empire. 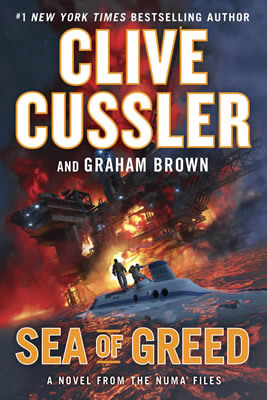 From thrilling aerial dogfights to heart-stopping hand-to-hand combat, Dirk Pitt follows a trail of blood, treachery, and terror into the depths of a cavernous undersea labyrinth. There, in the legendary Pit of Hades, the action explodes in a climax of unparalleled excitement as Pitt confronts his sinister nemesis. 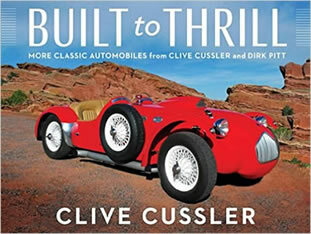 "Cussler has developed and patented a vibrant, rollicking narrative style that seldom shows signs of relenting."